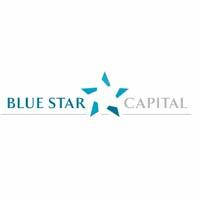 Shares of Blue Star Capital PLC found using EPIC: LON:BLU has increased 17.11% or 0.03 points during today’s session so far. Market buyers have so far held a positive outlook during this period. Range high for the period so far is 0.23 meanwhile the session low reached 0.19. The total volume of shares traded by this point was 14,508,328 while the daily average number of shares exchanged is 9,977,866. The 52 week high price for the shares is 0.29 which is 0.1 points in difference to the previous days close of business and a 52 week low sitting at 0.13 a difference of some 0.06 points. Blue Star Capital PLC now has a 20 SMA at 0.16 and now its 50 day moving average of 0.16. The market cap now stands at £4.43m at the time of this report. The currency for this stock is GBX. Market cap is measured in GBP. This article was written with the last trade for Blue Star Capital PLC being recorded at Friday, April 5, 2019 at 11:54:33 AM GMT with the stock price trading at 0.22 GBX. Shares of Anglo American plc with EPIC code: LON:AAL has gained 1.75% or 37.5 points throughout the session so far. Buyers have remained positive during the session. The periods high has reached 2175 and hitting a low of 2130. The total volume of shares exchanged through this period comes to 597,187 with the daily average at 4,312,414. The stock 52 week high is 2180 which comes in at 42.5 points different to the previous business close and a 52 week low sitting at 1433.64 which is a difference of 703.86 points. Anglo American plc now has a 20 SMA at 2036.07 and the 50 day moving average of 2007. This puts the market cap at £30,751.69m at the time of this report. The currency for this stock is Great British pence.Market cap is measured in GBP. This article was written with the last trade for Anglo American plc being recorded at Friday, April 5, 2019 at 11:59:59 AM GMT with the stock price trading at 2175 GBX. The stock price for Antofagasta plc ticker lookup code: LON:ANTO has moved up 1.45% or 14.2 points during today’s session so far. Market buyers have remained positive during the session. The periods high has already touched 998.28 dipping to 974.65. The total volume of shares exchanged through this period comes to 294,925 with the daily average traded share volume around 2,795,369. A 52 week high for the stock is 1171.5 equating to 191.1 points in difference on the previous days close and a 52 week low being 713.2 is a variance of 267.2 points. Antofagasta plc has a 20 day moving average of 964.84 and now the 50 day simple moving average now at 930.33. The market capitalisation is now £9,866.75m at the time of this report. The stock is traded in GBX. Mcap is measured in GBP. This article was written with the last trade for Antofagasta plc being recorded at Friday, April 5, 2019 at 11:58:59 AM GMT with the stock price trading at 994.6 GBX. The trading price for EVRAZ plc company symbol: LON:EVR has increased 1.22% or 7.8 points during the course of today’s session so far. Market buyers have remained optimistic throughout the session. The period high was 645.8 while the low for the session was 632.2. The total volume traded so far comes to 216,666 with the daily average number around 3,347,825. The 52 week high is 651.2 amounting to 13.2 points in difference on the previous days close and a 52 week low being 353.2 is a variance of 284.8 points. EVRAZ plc has a 20 day moving average of 620.12 with a 50 day simple moving average now of 571.49. The market capitalisation is now £9,321.10m at the time of this report. The currency for this stock is GBX. Market cap is measured in GBP. This article was written with the last trade for EVRAZ plc being recorded at Friday, April 5, 2019 at 11:59:52 AM GMT with the stock price trading at 645.8 GBX. Shares in Fresnillo Plc with EPIC code: LON:FRES has climbed 1.33% or 11.6 points during today’s session so far. Traders have stayed positive during this period. The high for the period has reached 894.32 dipping to 877.17. The total volume of shares exchanged so far has reached 195,121 while the average shares exchanged is 1,798,090. A 52 week share price high is 1364.5 equating to 491.9 points difference from the previous close and the 52 week low at 737.6 a difference of some 135 points. Fresnillo Plc has a 20 SMA of 845.05 with a 50 day simple moving average now at 909.53. The market capitalisation is now £6,515.61m at the time of this report. Share price is traded in GBX. Mcap is measured in GBP. This article was written with the last trade for Fresnillo Plc being recorded at Friday, April 5, 2019 at 11:58:54 AM GMT with the stock price trading at 884.2 GBX. Stock in Glencore PLC with EPIC code: LON:GLEN has increased 1.41% or 4.65 points during the course of today’s session so far. Investors have remained positive during this period. The periods high has already touched 333.4 while the low for the session was 329.3. The total volume of shares traded by this point was 5,840,067 whilst the average number of shares exchanged is 39,571,215. The 52 week high price for the shares is 409.8 about 81.1 points different to the previous business close and a 52 week low sitting at 268.35 is a variance of 60.35 points. Glencore PLC now has a 20 SMA at 316.91 with a 50 day MA at 310.43. This puts the market capitalisation now at £46,142.92m at the time of this report. The currency for this stock is Great British pence.Market cap is measured in GBP. This article was written with the last trade for Glencore PLC being recorded at Friday, April 5, 2019 at 11:59:37 AM GMT with the stock price trading at 333.35 GBX. Click AAL ANTO BLU EVR FRES GLEN for the full archive.